840029810 -The standard in ear training instruction is Horvit/Koozin/Nelson MUSIC FOR EAR TRAINING. 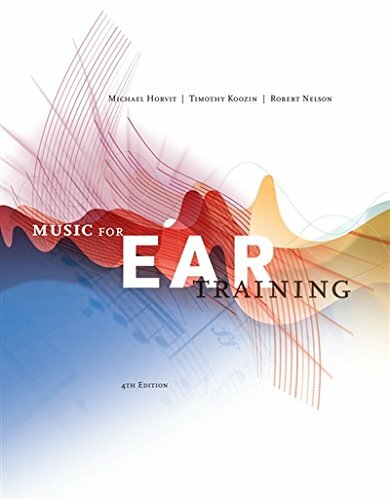 The Fourth Edition takes a hybrid approach to deliver a wealth of practical material that will help students quickly improve their listening and ear training skills. The accompanying digital resources for this text are easy to use and include high-quality recordings of various instruments playing each exercise. The dictation repertoire includes basic rudiments (intervals, chords, and scales), melodies, four-part harmonic settings, and varied textures from musical literature.